Here comes the sun! The only three pairs of sunglasses you’ll ever need - Susan Said... WHAT?! I recently cracked my favorite Ray Ban Wayfarer sunglasses. So what did I do? I ran right out and got another pair, exactly the same. You just can’t replace perfection! And, with the high cost of quality sunglasses, I’m not taking any chances on an expensive style mishap. My poor husband can’t understand my passion for shades. When we first met back in the early 1990’s I purchased a pair of French Vuarnet sunglasses for just over $100, which was a huge amount of money back then. He made me swear that I would never lose them (and of course, I still have them!). If you’re shopping for shades this summer, I have three top picks that will look fabulous … forever. Why these particular styles? They are all, in a word, classic. First, Ray Ban Wayfarer sunglasses (my faves) have a fantastic retro chic 1950’s vibe. And, if they are good enough for Audrey Hepburn (in Breakfast at Tiffany’s) well… enough said! Next, aviators always look right. From Hayden, to Drew, to Tom… celebrity stylists all over Hollywood know that aviators flatter just about every face shape and every hair style, for both men and women. Finally, oversized black shades have the cool factor. Think Jackie Kennedy. These glam glasses ensure instant sophistication and provide an element of mystery! Although the cost of quality sunglasses can be somewhat high, I find that I tend to take better care of my expensive glasses, making them last way longer than cheap ones. In fact, my number-of-wears-to-cost-ratio is quite good if they last several years – just like the little black dress that you wear forever. Of course, if you purchase chic shades, you now have the perfect excuse to find a sassy sunglass case just right to protect your new investment! Happy shopping! Gingham grows up -- sophisticated looks you'll love this summer! Sophisticated nautical dressing that is 100% kitch-free! Top 9 best wedge heels for summer! Separator image Posted in WOMEN'S FASHION and tagged with accessories, aviator, fashion, over sized sunglasses, Ralph Lauren, Ray Ban, shades, style, summer style, sunglass case, sunglasses, Susan Said What? !, Wayfarer. Find of the Year! 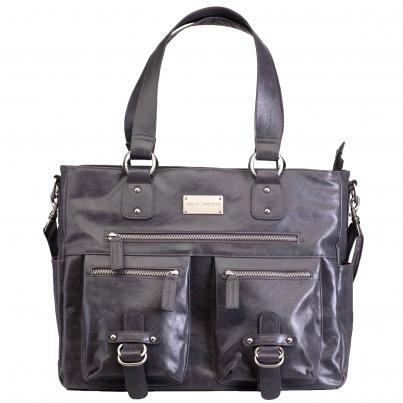 The Kelly Moore handbag features changeable compartments. It’s like a new handbag every day! Show the monarchy some love with great these British inspired accessories!